A golden man rises miraculously from the sea with the power to peer into the future and challenge the Man of Bronze. 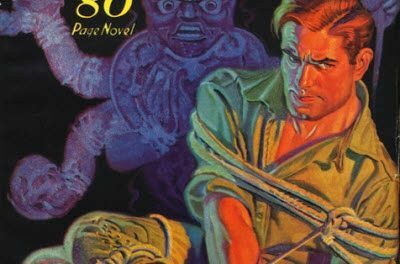 Doc Savage and his crew follow the mystery man’s fabulous trail from South America to New York where they uncover his Dark Sanctuary — and come face to face with an evil cult of blackmail and murder! Borthers! I think I’ve found the Doc with the worst payoff in the canon!! This one is an off-speed Doc with a great mystery left to Monk and Ham with Doc not appearing until pg. 40. Sadly, though, the ending of this one is absolutely flat! Lame, dull and impossible, implausible and just plan dumb. What a waste of a great premise. And there are some good action sequences. Not Doc’s finest hour by a long shot. 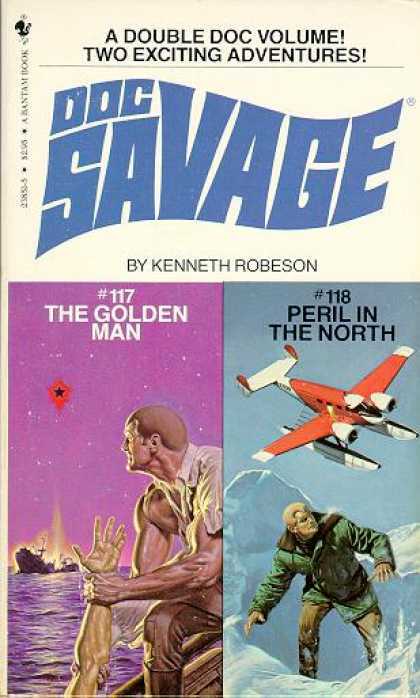 I remember reading somewhere how important The Golden Man was to the Doc Savage canon. In it the Golden Man is a mystical figure that knows all about Doc’s birth at sea on the ship Orion and how important his destiny is. Then . . . low and behold the Golden Man is nothing but a British secret agent and the book just falls flat in the end. 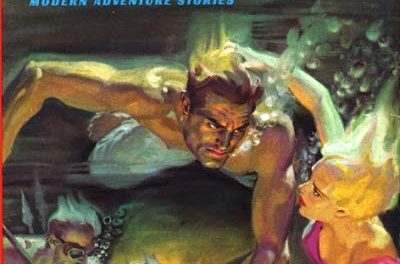 In the early Doc Savage novels you could encounter a bit of genuine mysticism, as in OST and a couple of others. 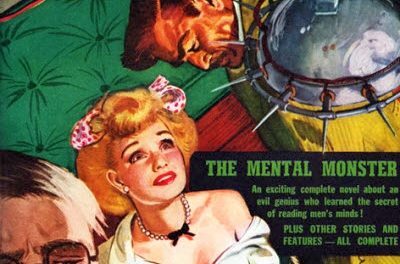 In the early years, Dent never felt the need to “explain away” a phenomenon; he just accepted it (as in how the ships fly in The Secret in the Sky or how the mind-reading machine works in The Midas Man, etc.). Then later on, everything becomes terribly mundane and explainable. 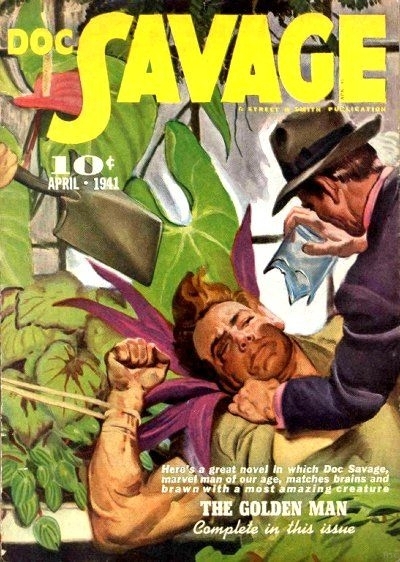 Dent really returns to the true spirit of Doc Savage only in the last three novels in the series where Street and Smith had a change of editors and the new woman (I forget her name) wanted a return to the early Doc. 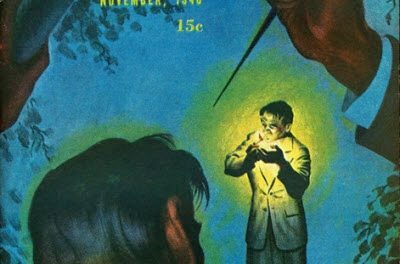 There is absolutely NO explaining away what happens in Up From Earth’s Center, for example, and the novel is rendered much more exciting. What if there were real hexes in Hex? What if there were real ghosts in The Giggling Ghosts? Still, there are some good Docs in the 1940s, even if none of them match the first 3 years of the series. This had a terrible “explanation” and ending. It was a chore to get through. One of the worst Dent Docs I’ve read.